Egg-cellent news! 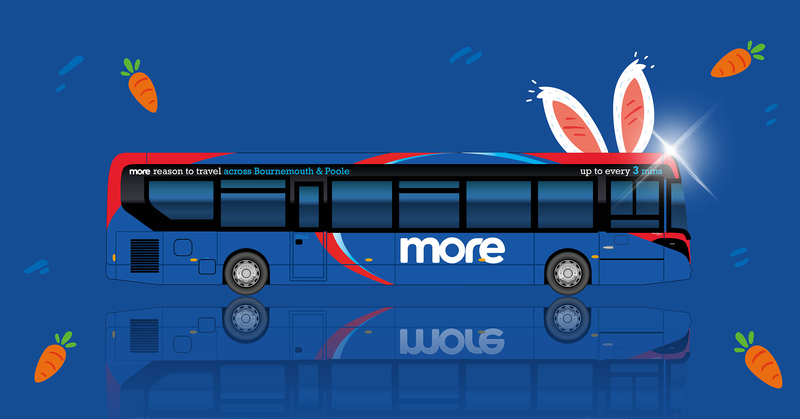 With lots to do and see in Poole and Bournemouth this Easter, don’t hop like a rabbit, hop on a bus and have a great day out with all the family. With Easter weekend fast approaching, there’s more reason than ever to get out and about this year with the increased service on board morebus services. Our Purbeck Breezer 40, 50 and 60 routes started operating an hourly Sunday service on 17th March, meaning you can stop by the wonderful sights of Sandbanks, Swanage, Studland and Corfe Castle this Easter weekend. Don’t forget we have great value tickets for all the family too, including the weekender tickets on the clickit2ride mobile app, perfect if you have a busy Easter weekend ahead!